THE DR. MARY A. LYNCH SCHOLARSHIP This scholarship was established in 2006 and is awarded to a second or third year student majoring in Communication who displays the spirit, possesses the passion, and demonstrates the philosophy of the discipline. Click to learn more about Dr. Mary A. Lynch. THE PEARL PEERS PEER FACILITATOR AWARD Established in 2011, this trophy is awarded annually in memory of Pearl Peers, Communication Lab Coordinator, 1979-1993. Pearl introduced the peer facilitator concept and her dedication, passion, and insightful communication remain the qualities that peer facilitators embody. Nominated by his or her colleagues, the recipient of this trophy is a peer facilitator who exemplifies communication excellence, dedication, collegiality, involvement, and professionalism. Click to read more about Pearl Peers. THE MARJORIE S. JOST SCHOLARSHIP Marjorie S. Jost was a charter member of the Nova Scotia Speech Communication Association. This award is offered by her husband and sons to a graduating student with a concentration or major in Communication and who has clearly demonstrated excellence in the discipline. 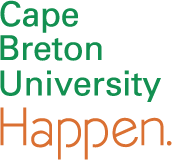 THE CAPE BRETON DISTRICT LOCAL OF THE NOVA SCOTIA TEACHERS UNION SCHOLARSHIP This award, in memory of the late Ann Terry MacLellan, is for a graduating student demonstrating excellence in the discipline of Communication.